The Healthcare industry is one of the fastest growing industries today. Healthcare centers demand excellent technical enhancements and upgrades for the process of inventory management and the patients. With the solutions that we, at Dreamstel, provide, you would be able to enhance correspondence, and significantly improve the CRM software you’re currently using. We offer advantages of NetSuite, Salesforce and other advancements along with our consulting and development services. 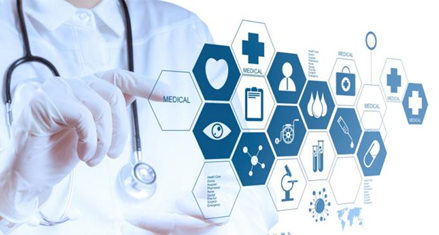 Why Should You Choose Us for Your Healthcare Service IT Related Requirements? We are your go-to experts when you need high-performance software applications to improve the productivity of your employees, and bring a significant increase in the profits. Increase the automation productivity and ROI by 80% with our Hybrid Test Automation Framework. We Believe in Improving the Experience of Your Customers. Schedule a Salesforce Consultation with Us at Anytime. We offer Salesforce consulting and development services to turn your ideas and dreams into reality within a short period of time. We can create Lightning-Ready Mobile and Web applications with the required components and functions for a smooth operation. Our Salesforce Integration with electronic health records, patient’s portal solutions, care management systems and practice management systems could give you an experience like never before. Our services fluctuate according to the demand. You pay us only for the work we deliver. Get the Best-in-Class Product Development, Product Assurance, Product Services, and Product Sustenance.